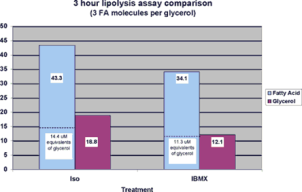 Comparable volumes of conditioned buffer were subjected to either the glycerol assay or non-esterified fatty acid assay to determine the extent of lipolysis. 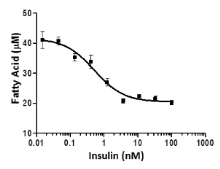 The concentration of glycerol and fatty acids released are shown on the graph below. 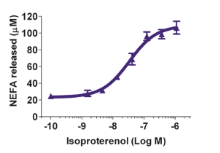 A calculation for equivalents of glycerol corresponding to the fatty acid concentrations is included in the graph. 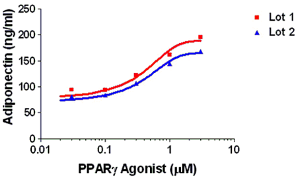 There is good correlation in the 3 hour assay between glycerol release and fatty acid release. 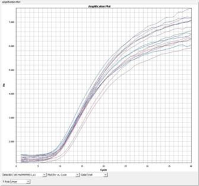 Additionally, we have determined that a glycerol concentration up to 0.5% has no effect on the fatty acid lipolysis assay. Accumulation of triglycerides in 2 week old adipocytes. Cells were exposed to a PPAR gamma agonist (PC), a PPAR gamma agonist plus TNF alpha (NC), vehicle (VC) or an unknown test compound for 3 days. At the end of three days treatments were removed. The cells were fed and allowed to accumulate lipid for a period of 14 days. 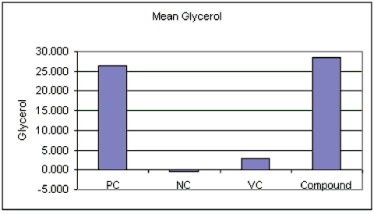 At the end of 14 days cells were lysed and glycerol measured with the Zen-Bio glycerol reagent. Glucose uptake after a 2 hour treatment. Data is calculated as mean counts per well. 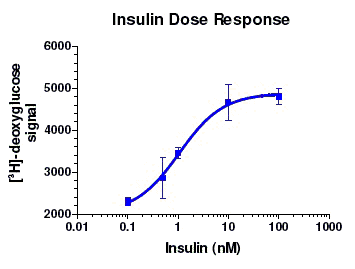 The assay was done in subcutaneous human adipocytes at two weeks post-differentiation. 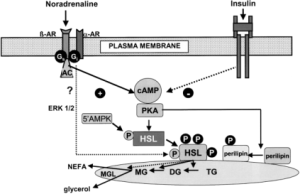 Adiponectin secretion from human adipocytes in response to increa sing concentrations of a PPAR gamma agonist. 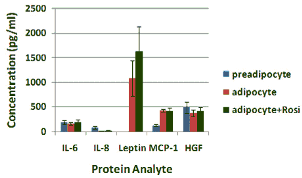 Two different human adipocyte lots display similar adiponectin secretion responsiveness. 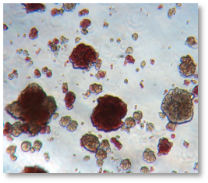 Data are expressed as ng/m l.
Several analytes from cultured human preadipocytes, adipocytes, or adipocytes treated with Rosiglitazone. 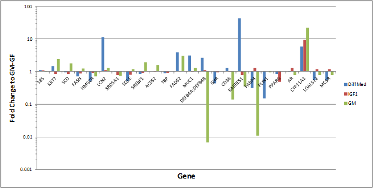 Data are expressed as pg/ml. 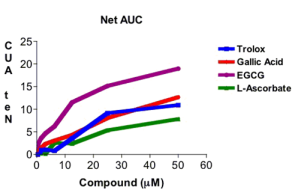 Trolox, Sodium L-ascorbate, Epigallocatechin gallate (EGCG), and Gallic acid were tested for their antioxidant activity in the ORAC Antioxidant assay. 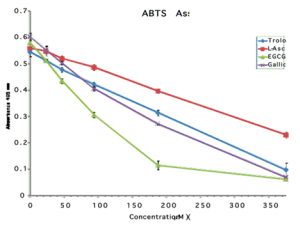 Trolox, Sodium L-ascorbate (L-Asc),Epigallocatechin gallate (EGCG), and Gallic acid (Gallic) were tested for their antioxidant activity in the ABTS antioxidant assay.